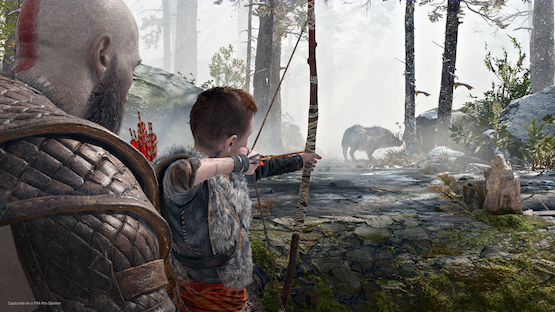 God of War‘s impressive 3.1 million sales in three days helped place the title atop UK’s retail chart for the full month of April, Gfk and Ukie have revealed. The critically-acclaimed, single-player PlayStation 4 exclusive released on April 20 but comfortably dethroned Ubisoft’s Far Cry 5 and kept Electronic Arts’ regional favorite FIFA 18 at bay. As a result, Sony was UK’s top publisher in April, with 22.2 percent market share in terms of units and 27.5 percent market share in terms of value. Ubisoft settled for number 2 as Far Cry 5 sales dropped 36 percent month-on-month. Elsewhere, Sega’s Yakuza 6: The Song of Life experienced a launch month sales increase of 35 percent compared to Yakuza 0. Horizon Zero Dawn‘s Complete Edition made it into the charts at number 45. Similar retail results for God of War are expected in the US when NPD releases its figures for the month of April in the coming days. Sony recently thanked fans for their tremendous support while announcing the game’s sales. “Your support is truly inspiring, and it’s a reason why we push ourselves every day to go beyond the boundaries of play,” said Santa Monica Studio boss Shannon Studstill. We’ll update our readers when we have US market figures.